Due to the adverse weather conditions, Bridgewater will be closing today at 1:30pm. Rialize will not be running. Please collect your child from the playground as normal. 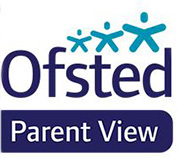 If you are sending an alternative carer to collect your child, please contact the school office by email (admin@bridgewater.herts.sch.uk) or phone (01442 871231). We will make a decision about whether the school is to open tomorrow later this afternoon, or this evening.